This 200-hour teacher training is a transformational journey into the art, practice, and teaching of Power Vinyasa Yoga. This program will deepen and expand your yoga practice and prepare you to powerfully and confidently guide others. You will practice teach, give and receive feedback, and get personalized coaching that will leave you empowered as a teacher, leader and human being. Whether you want to develop your practice or become a teacher, this training will take you on a journey of self-discovery in a trusting environment of support, empowerment and love. 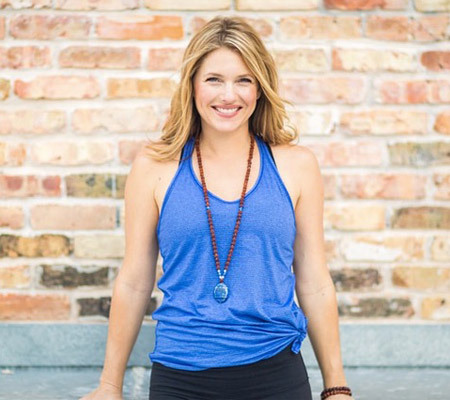 Based on the teaching of Leah’s internationally released book, Power Yoga: Strength, Sweat, and Spirit, this program is rooted in yoga lineage and tradition, and applicable to asana practice and everyday life. Through discussion, contribution, community building and personalized coaching, assisting and practice teaching we will build on your personal strengths and develop new skills. The program also includes a significant emphasis on personal awareness and an ability to teach from your heart with a strong, clear voice. This comprehensive, hands-on training is an opportunity for you to expand your yoga practice, develop your leadership skills, and elevate every area of your life. This program is conveniently scheduled on weekends and evenings at BFree Yoga in the heart of Austin, TX. Register before June 1 and SAVE with early bird pricing!